iBeats Blogger Template is a best 2018. It can be changed by color dashboard layout panel. iBeats is a 4-column footer area and a very interesting standing navigation bar which makes viewers easy to reach your blog. Featured post widgets to add posts from different labels. We've tried to shorten ibeats with a lightweight script for fast loading and it's a fully responsive SEO optimized . The comment form has been sent to this model so that users can leave their comments easily. iBeats is a fully responsive and SEO friendly design. The 4 column layout has u know your site pages directly from the homepage of your site visitors.. You can add more posts to display your blog's homepage featured widgets means Featured post. IBeats comes with some advanced features you could never find on any premium version. You can easily customize your blog colors and choose your desired color from the blog layout section of your blog content. With the ability to customize the color of your blog with the Dashboard, IBET has made changes to colors much easier Links, titles and links to visited links can be easily changed without any thought about coding. 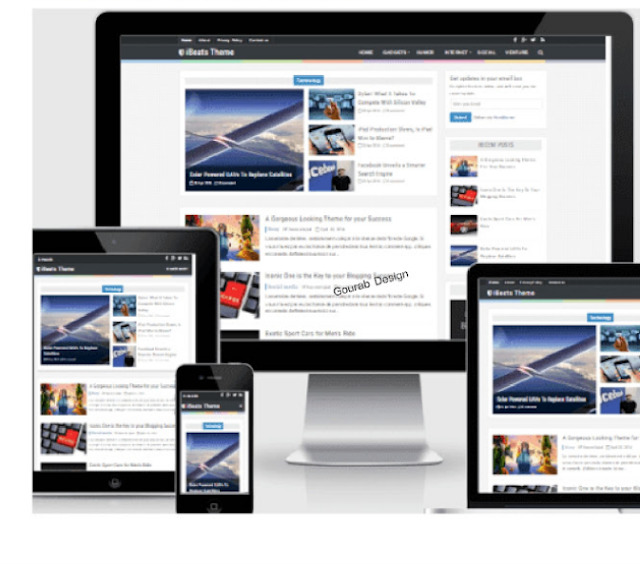 IBeats responsive is equipped with 4 column layouts, which makes it easy to update all the posts and pages . This is most suitable for the magazine blog. Fixed an interesting and eye-catching experience with an interesting navigation bar on the free of IBit. Without the above scrolling pressure, users can easily navigate to their favorite section. You can publish a very important post or promotional article from a label using featured post widgets. IBeats has many other amazing features I've previously used the on this blog and I can recommend it for technology and magazine blogs.